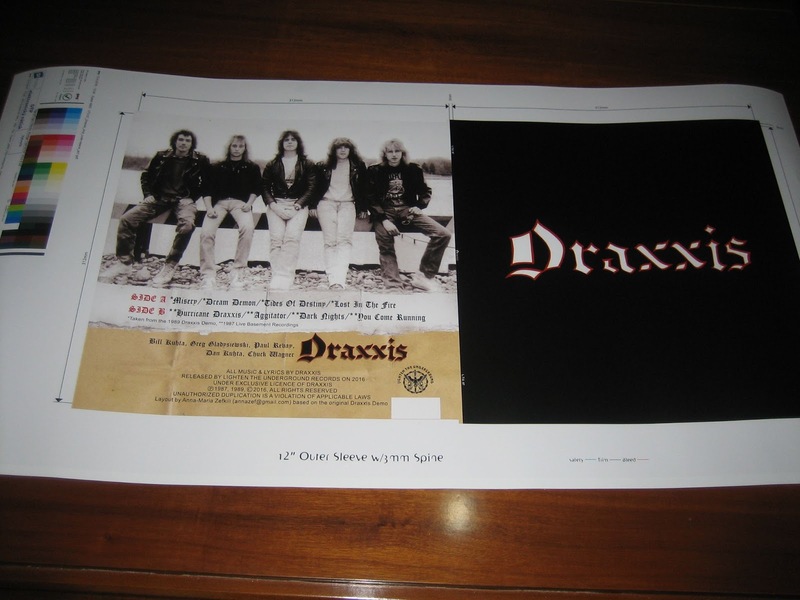 Metalheads, we would like to inform you that the DRAXXIS vinyl release date will be the 30th of December 2016. Vinyl will be a full album and will include the 1989 demo tracks on side A and 4 live 1987 basement recordings, on side B, as bonus stuff. Additionally, the front cover's logo will be embossed and it will include insert. Metalheads in the US will have the possibility to purchase the vinyl from the band itself, starting from the middle of January 2017 when the band will have it available, and, of course, additional distributors (in Europe and the US and probably Japan and South America) will be announced in due course. Additional information will be available very shortly. Lighten the Underground with honour presents you the metal heroes from Pennsylvania DRAXXIS, and their crushing 1989 demo on vinyl! One of the very few times in metal history that a band with only one demo reached such high levels of synthetic perfection. 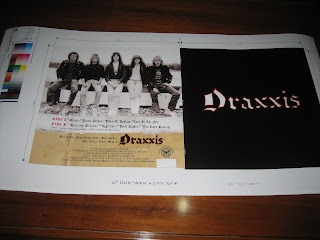 DRAXXIS music could be described as a mix of Queensryche (EP era), Crimson Glory, early Savatage and Metal Church, delivering the perfect balance between melody, lyricism and power. 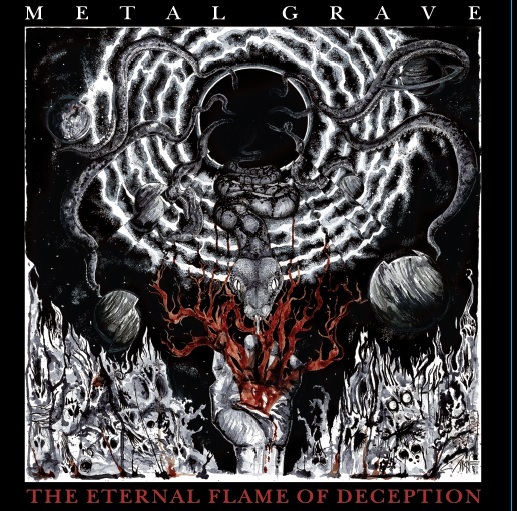 METAL GRAVE-The Eternal Flame of Deception LP available in 300 hand-numbered vinyl copies, including A3 poster. 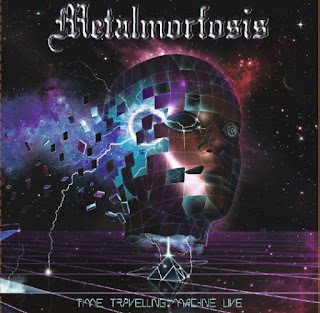 METALMORFOSIS-Time Travelling Machine Live LP available in 150 black & 100 deep purple vinyl copies. Lighten the Underground presents you the occult power metallers from Chile, METAL GRAVE, and the vinyl version of their album 'The Eternal Flame of Deception'. The album is based on Dante’s Inferno concept. It is a Journey Into the Unknown towards the Eternal Pain and Suffering, through a Sea of Blood. Stay connected to our page, as the release date announcement is expected to be very soon. In 2014 Metalmorfosis made history: it was the first time a true metal band from Greece ever toured in Argentina! Lighten the Underground pays homage to this fact presenting you in vinyl the whole band’s show in Vivo En Chopers in Rosario! 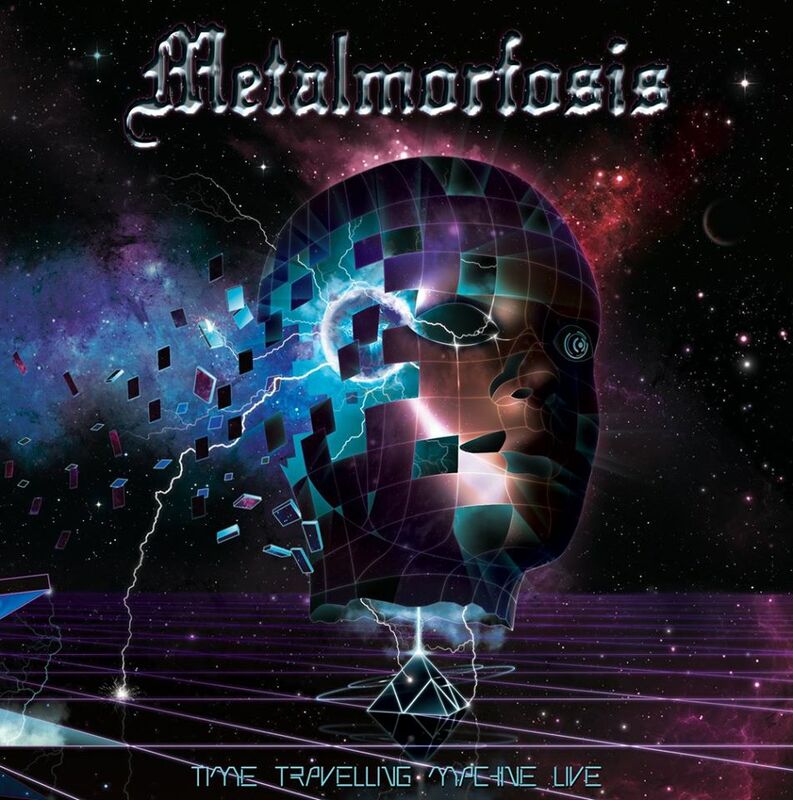 The new album will be entitled 'Time Travelling Machine Live'. and the rest 100 of them, will be of deep purple colour. Friends, long time to speak again. Before we proceed to the juicy part of our announcements, we need to explain you a few things from the point we left you since our last post. As you might have understood, the ATTACK-Destinies of War reissue in cd & vinyl has been postponed. The cd version reissue is already available in two different versions (European and South American) from what we know, so grab your copies from the corresponding labels before it's too late. 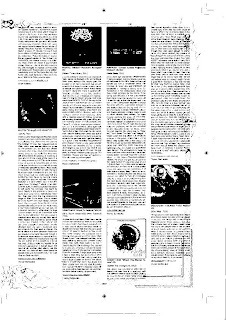 However, and since the vinyl version's metallic plate is already existing in the plant, the test pressings are available and the artwork files are ready for printing as well, any label who is interested to reissue this great album on vinyl (provided that it will get the band's licence of course, something which is irrelevant to us), it can take all required stuff from us ready for production. 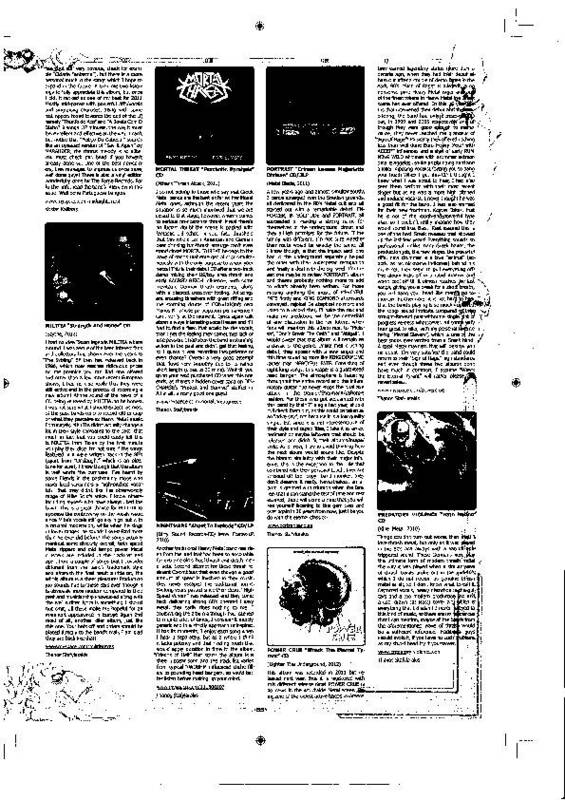 Final artwork files available (only the new label's logo should be changed), with the a 4 pages leaflet included among them. 2 test pressings, in case you would like to do your own final's sound check, too, before. We will be totally at your service, we will do all communication required with the plant and will coordinate you accordingly from the beginning of the work until its final production. You can contact us to let you know more details. 1. First, and most important: Lighten the Underground will rerelease, at last, the legendary ATTACK’s-Destinies of War’ album in 1.000 cd copies and 500 vinyl copies (of which the 100 will be coloured). It will be a very special edition which will include (the cd) a 20 pages cd booklet with photos and lyrics, while vinyl rerelease will include a 4 pages vinyl leaflet with photos and lyrics. ATTACK is probably one of the most significant and representative bands of the European traditional metal. 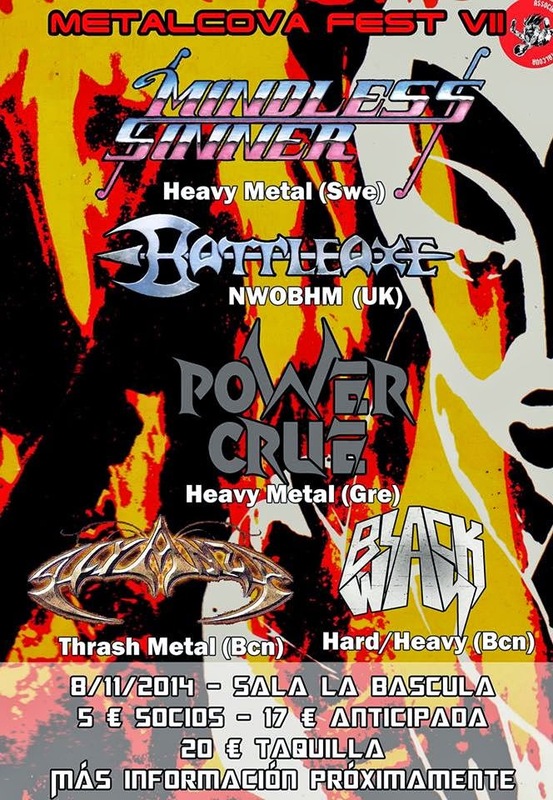 Besides, there aren’t too many bands in the European metal history which released five top class, traditional metal, albums in a raw (Danger In The Air, Return Of The Evil, Seven Years In The Past, The Secret Place), except from the very well known ones of the genre (IRON MAIDEN, RUNNING WILD, ACCEPT, SAXON etc). If you also add to this the ‘Revitalize’ and the recently released ‘Warriors of Time’ compilations, the recently released vinyl re-releases of ‘The Secret Place’ and ‘Seven Years in the Past’ (the latter from the friend label ‘Steel Legacy’), and the cd re-releases of ‘The Secret Place’ and ‘Return Of The Evil’ (again from ‘Steel Legacy’) you understand that we are talking probably about the living myth of the European traditional heavy metal scene. Time has come therefore to be released, according to the glory the band deserves, the highly acclaimed ‘The Destinies Of War’ album in both formats, cd and vinyl. Details regarding the precise release date will be announced from this page. 2. Next Ligthen the Underground’s release, programmed to be released somewhere in 2015 time, will be from the magnificent Chilean traditional occult metallers METAL GRAVE. 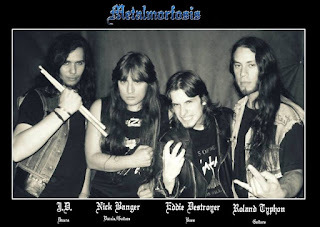 Lighten the Underground will rerelease in vinyl the band’s superb first full-length album ‘The Eternal Flames of Deception’ (http://metalgrave.bandcamp.com/), originally released in cd by Evil Confrontation, in a limited edition of 350 vinyl copies. 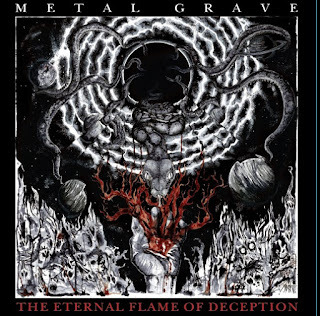 METAL GRAVE are currently one of the best underground heavy metal bands worldwide, according to our humble opinion, and their undisputed talent couldn’t pass unnoticed from Lighten the Underground, which, in essence, is searching with bands with such a profile. More details about the release, will be announced within the next months. 3. 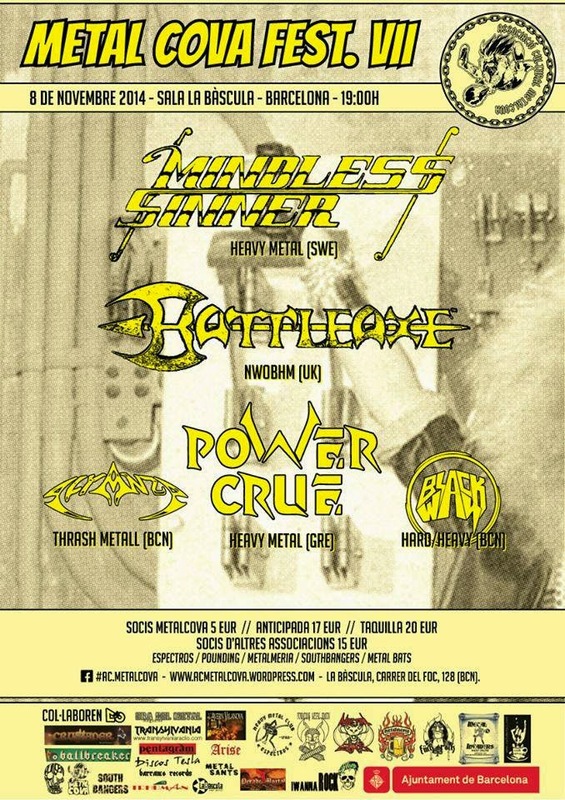 We are very proud that one of our label’s bands, POWER CRUE, will participate in such an important festival as it is the spanish Metalcova, of which the 7th year will include in its line-up POWER CRUE, among the legends Mindless Sinner and Battleaxe, and the very talented Alyanza and Black Way. We are waiting to see you there Spain metalheads, it will be an honour to meet you. 4. We are in the construction process of our new website, which will include also mailorder shop. It will be uploaded the earliest possible. 5. Trades are always welcome. 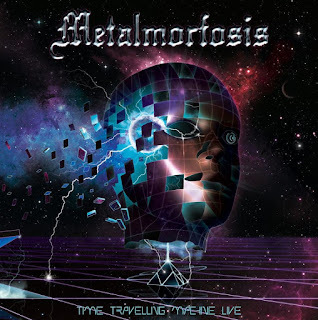 We trade all kinds of metal (heavy metal,power metal,speed metal, thrash metal, death metal, doom metal) except probably from grind, grindcore and anything else ending to -core (although still there is the option for some exceptions in that case, too). For some labels of whom their e-mails remained unanswered (due to the personal problems we mentioned in the beginning), we apologize for this. We will contact you the earliest possible. You also can contact us for trade or wholesale regarding our forthcoming release, ATTACK’s-‘Destinies of War’ so that to provide you the quantity requested from the very first days of the release. You can also contact us for trade with the already released albums of ours. There is also a lot of other stuff available for trade and distribution. Contact us for more details. 6. Bands who would like to cooperate together: Of course, it is always a pleasure to cooperate with any band whose stuff is really remarkable (at least to our ears). Do not hesitate to send me your stuff. Once we agree in cooperation, please bare in mind that we need a reasonable amount of time until the release, because there are other projects ahead to release first, and with whom we are working with.